In a couple of days, the country will be all set for Raksha Bandhan, the festival dedicated to the protective bond between brothers and sisters. We might not be very clear about who first started this custom of tying a rakhi on the brother’s wrist as an acknowledgement of his protection, but the occasion does call for a gala celebration in many parts of the country. And brands cannot afford to miss out on Raksha Bandhan, especially if they are in the business of gifting. Although not that grand an occasion as the one’s dedicated to other relationships like mothers, fathers, lovers, Raksha Bandhan and brands do share a healthy marketing bond. This year, a few brands have banked on Raksha Bandhan to promote themselves or introduce a new feature, but have done so in creative ways of storytelling. With 2015 being the year of videos, we bring you the best videos celebrating Raksha Bandhan, while ringing in a strong brand recall. The brother and sister duo in this 90-second spot maybe texting each other but really it’s a negotiation for the best gift the sister deserves for everything she has ever done for him. The brother starts with a smaller valued Amazon gift card, but cannot argue with his sister for long. He finally gives in and settles for a Rs 10K gift card for the overjoyed sister. Postpickle needs no introduction now after the kind of virality it created with its absolutely out-of-the-box Raksha Bandhan film. 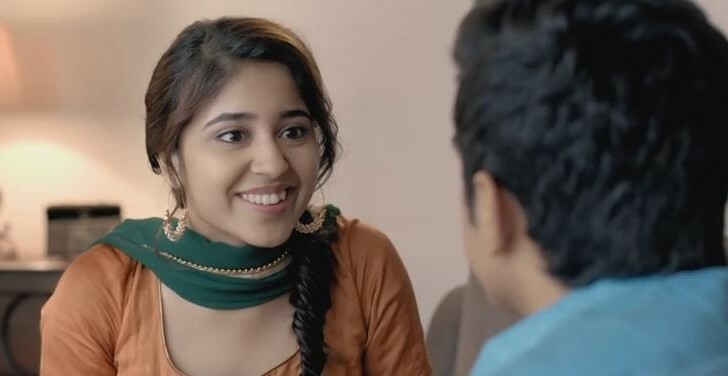 The mostly satirical content site launched #ForASister, a 90-second spot where a sister is asking her brother for the most special thing she wants from him this Raksha Bandhan – her dignity. She asks her bhaiyya not to say ‘behenchod’ (sisterfucker) ever again. Postpickle is inviting viewers to take a pledge this Raksha Bandhan using the hashtag #ForASister. The Bengaluru-based on-demand courier service Parcelled found the right occasion on Raksha Bandhan, to promote itself with a beautiful film. In the 80-second video, a sister is seen availing the on-demand courier services of the Parcelled app to send a rakhi to her brother, and a mithai box along with a half-eaten piece of barfi. A viewer is taken down memory lane where she and her brother have always fought over the festival sweets, and she managed to eat first. For the chocolate gifting brand from Mondelez Foods, Raksha Bandhan is the perfect occasion to connect with its consumers, and also strengthen its brand promise – ‘Khushiyan Le Chalo’. This Raksha Bandhan, Cadbury Celebrations rolled out a 30-second ad film that perfectly captures the playful dominance of an elder sister for her younger brother. The online beauty products store has rolled out a 3-minute film capturing the bond between a brother and sister. The sister returns home after a game of basketball and is seen browsing for eyeliners on Nykaa. After a while, she is seen trying on some black sketch pen, when her brother barges into the room and figures out what she was up to. Embarrassed, she rushes to hide the screen. It is only after she ties him a rakhi that she realizes he has brought her a Nykaa gift hamper with more beauty products than she wanted. This Raksha Bandhan, Birla Sun Life Mutual Fund wants brothers to invest in their sister’s future. In this 2-minute video, a brother is seen gifting his sister a mutual fund and telling her the importance of it for her future. Birla Sun Life has also launched a meme generator page where siblings can email each other fun cards and at the same time set up an appointment with a financial advisor from the mutual fund house. This minute-long video by the Videocon Group is a silent tribute to sisters. The expressions of these brothers say it all. Don’t forget to share your favourites with us.